Features an adhesive that permanently remounts mirrors to windshields. It achieves handling strength in seconds. Extreme temperatures take a toll on rear view mirrors. 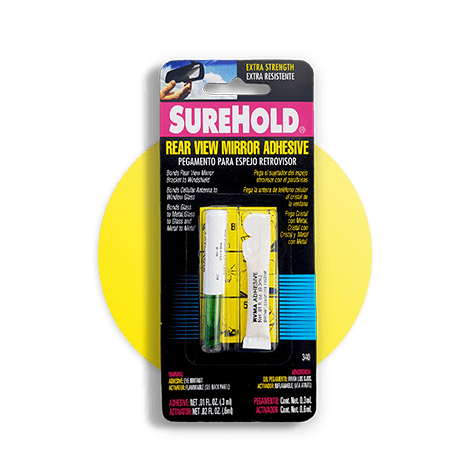 SureHold Rear View Mirror Adhesive bonds the rearview mirror bracket to windshield. This product also great for glass to glass and metal to metal bonds. Apply the accelerator followed by the adhesive and apply pressure for a fast strong bond.